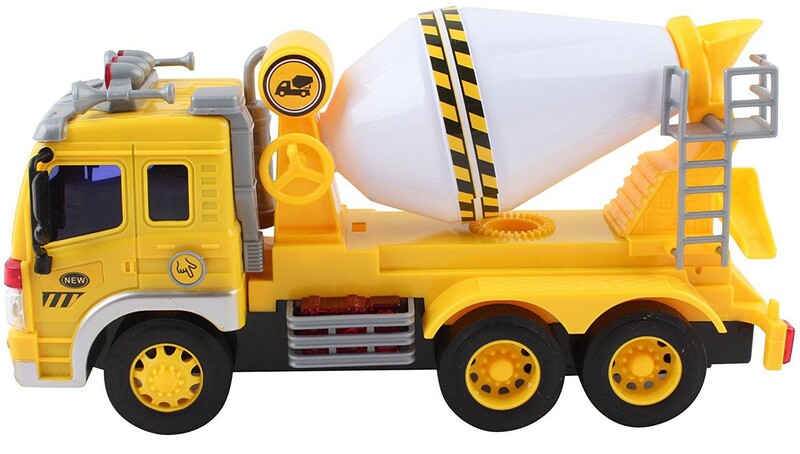 Stir and stir and mix all the cement in the mixer truck. 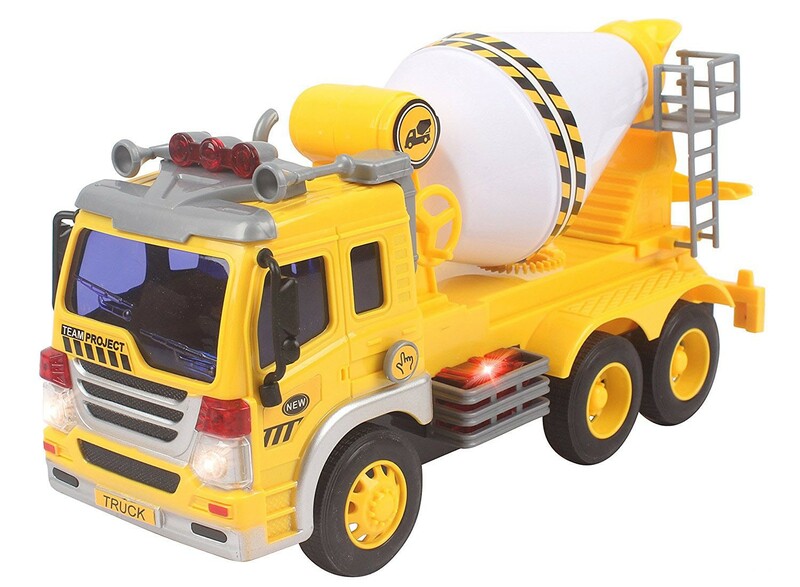 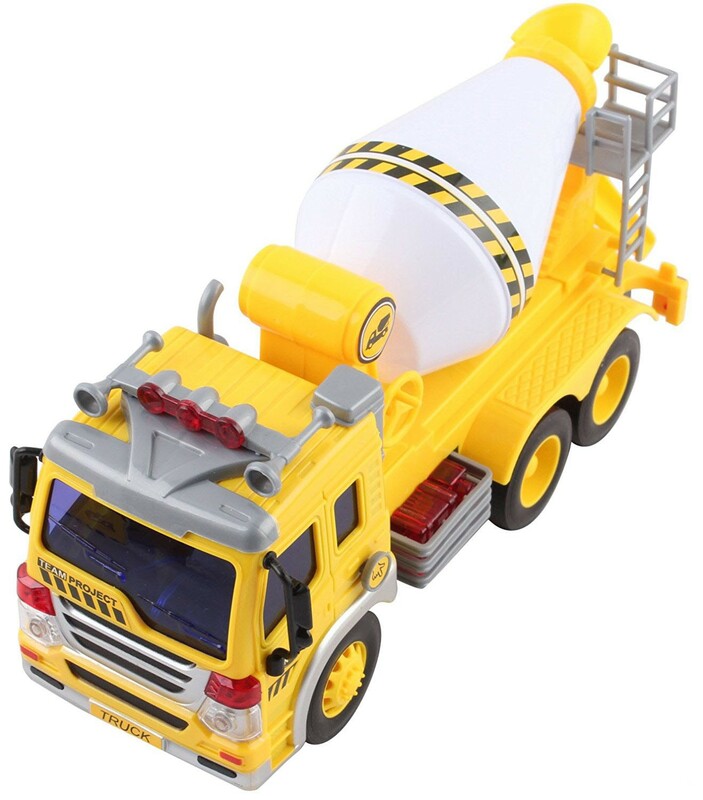 This Mixer truck resembles the real actual mixer truck. 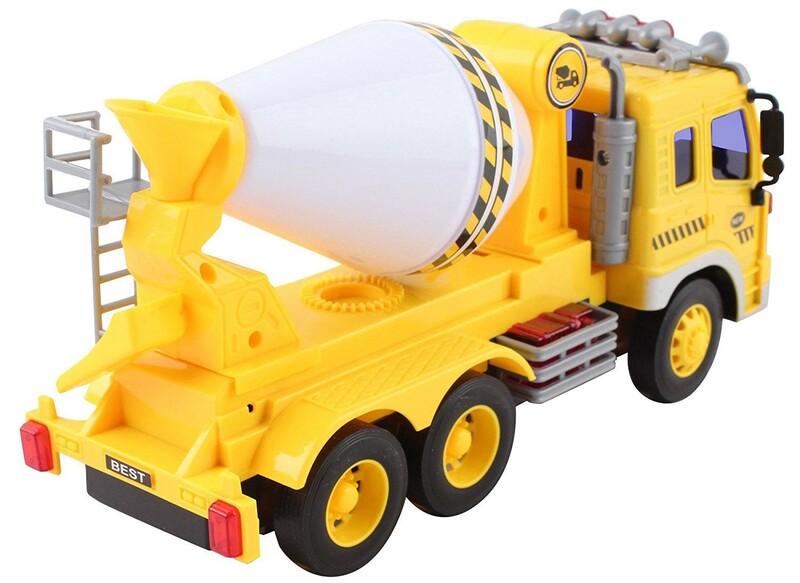 Some features include exciting noise and sound, friction wheels, and also you can turn the mixer with the handle. 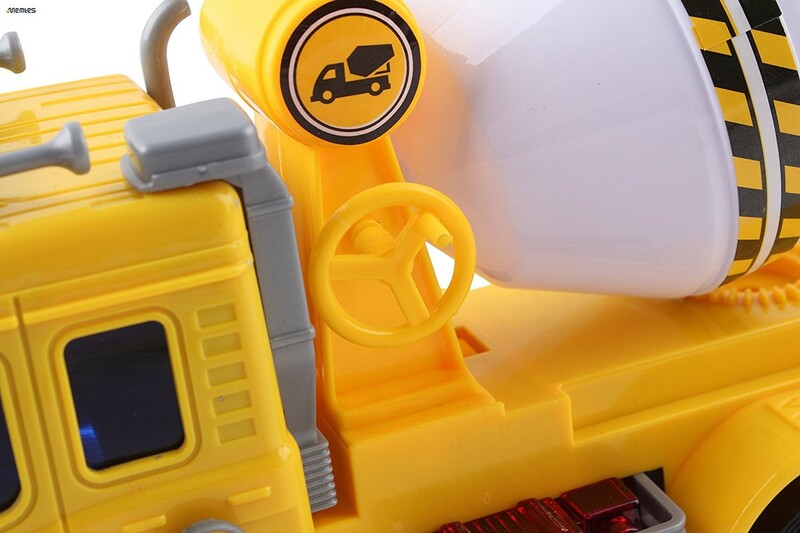 The friction wheels is simple to use; just pull the truck back and watch it zoom away.